The suspended coach would really like it if we would just accept Ohio State’s findings at face value and not think more critically about the overall facts of the case. 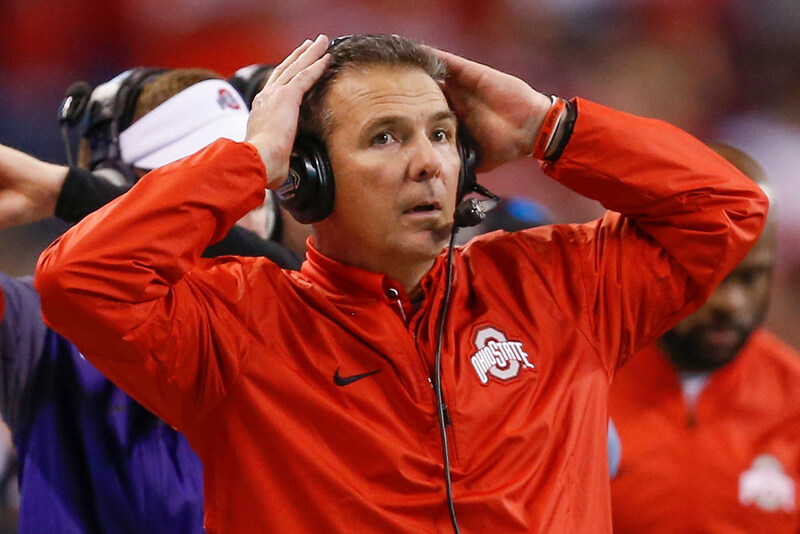 *Suspended Ohio State football coach Urban Meyer surfaced again on Twitter Friday morning, this time to complain about how his suspension is being covered. Essentially, Meyer wants everyone to pay attention to the parts of the investigation into how he handled assistant coach Zach Smith and accusations of domestic violence that made Meyer look good (or at least less bad) and ignore the parts that didn’t make him look good (you know, the parts that led to his three-game suspension and led many others to say he should have been punished more severely). And he would really like it if we would just accept Ohio State’s findings at face value and not think more critically about the overall facts of the case. Instead of considering himself lucky that he wasn’t fired and maybe learning something meaningful from all of this, Meyer instead seems focused on his brand and reputation. Maybe from inside his circle, which contains countless Buckeyes fans who still support him, this seems like the right thing to do. From the outside, it looks like Twitter is Meyer’s shovel, and his words are a hole he is digging that keeps getting deeper. *The news was better Thursday than it had been lately for the Vikings’ special teams. Daniel Carlson made both his field goal attempts and an extra point, while Holton Hill had a 53-yard kickoff return. But punter Ryan Quigley had a kick partially blocked, leaving room for continued concern. Special teams have been an underrated area of strength for the Vikings despite some kicking woes in recent years. They’ve generally covered kicks well and have made impact plays in the return game, creating valuable field position edges. Pro Football Focus ranked them the No. 1 overall special teams unit in 2017, and they’ve been in the top 10 each of the past three season. Any regression there is a sneaky thing that could undermine this season, while continued success could give the Vikings three well above-average units. It bears watching as the season goes on.